What Locations Services believes is the recipe for success in the repossession and recovery industries includes taking executives from an array of well-known companies such as Ally Financial, PAR North America and Remarketing of America and fueling them with the funding resources from Delaware Street Capital. The result has been a busy year that’s included acquisitions and blending together a leadership team with its sights set on broad-based coverage across all 50 states, with repossession trucks owned and operated by Location Services. Former Ally Financial executive Lee McCarty was named chief executive officer one year ago. A few months later, another former Ally executive joined McCarty. Eric Gerdes came aboard and was recently named Location Services president and chief operating officer. Between McCarty and Gerdes, they possess nearly 60 years of auto finance experience. With, Delaware Street Capital backing them, McCarty, Gerdes and members of the Location Services team have embarked upon an aggressive strategy to transform the auto finance loss mitigation outsource industry. Along with trucks ready to be deployed nationwide, another company goal is to become the industry’s first vertically integrated, national direct, loss mitigation outsource provider. “While Eric and I were at Ally, we often talked about how nice it would be if we could leverage one provider for our loss mitigation outsource strategy and partner with a company that truly had a national presence. We are on our way to making that a reality,” McCarty said. The strategy of Location Services and Delaware Street Capital ended up on the radar of industry veteran Chad Latvaaho, owner of Repossessors Inc., out of Maple Grove, Minn.
“Our company has had long-term relationships with several major banks, credit unions and finance companies. When Eric and Lee approached us about their vision, it made a lot of sense as I had familiarity with them and knew what they stood for,” Latvaaho continued. As a result of becoming part of the company portfolio, Latvaaho will stay on with Location Services as co-owner and regional vice president. Latvaaho was also a co-owner of Auto Approve, an auto refinance company, that was also acquired by Location Services. Latvaaho’s Auto Approve business partner and co-founder is former PAR North America president and chief executive officer Jerry Kroshus. Kroshus and Latvaaho started Auto Approve less than two years ago and experienced great momentum out of the gate. “We are thrilled to be a part of the Location Services team and overall game plan,” Kroshus said. “I started my career with GMAC 30 years ago just like Lee and Eric, so we have a common bond. “I have been very impressed with the entire Delaware Street Capital/Location Services organization and am excited about the future,” Kroshus added. Kroshus is also a co-owner and was named chief client relations officer for Location Services. He will be intimately involved in the strategic growth and development of Location Services client relationships. “Adding Chad and Jerry to our organization is a real positive for us,” McCarty said. “Chad is very well respected in the recovery world and has that entrepreneurial spirit. Like all of our agencies, Chad recovers high volumes in a highly compliant manner and has a massive coverage area. Similar to Kroshus and Latvaaho, all four of those individuals will remain with Location Services as owner operators and regional executives. “I can’t say enough about the experience, dedication and genuine commitment each of our regional executives bring to the table,” McCarty said. “Each of these individuals are passionate about remaining the very best in the industry, and they are committed to our vision to become the premier national direct loss mitigation outsource provider,” he continued. 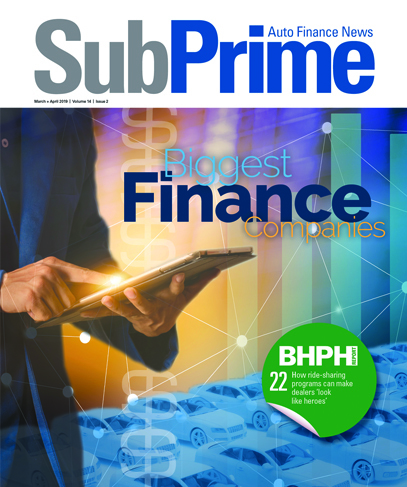 “We are definitely raising the bar in this industry, which will drive unparalleled efficiency, effectiveness and compliance rigor for our auto finance clients and their customers,” McCarty went on to say. Eusebio, Palazzolo and Keys, all seasoned operators in the repossession industry added, “The opportunity to join the Location Services team could not have come at a better time. We were already in the mode of building a large direct agency after announcing RedLine Adjusters at NARS, bringing CARS, ARS and DigitalDog together as one company. “We have assembled a dream-team of talented and experienced auto finance executives, which definitely differentiates Location Services in this industry,” McCarty said. “We are positioned well for future growth and remain focused on driving value to our clients, through our consistent and compliant national footprint. “As we push forward with our national strategy, it is critical that we have the right leaders, consistent and compliant processes, and we remain true to our clients,” he continued. “Based on the steps taken thus far, the leadership team we have assembled and our near-term plans, I couldn’t be more excited about the future of the auto finance outsource industry,” McCarty went on to say. On Tuesday, Location Services will be hosting two 30-minute meet-and-greet sessions at Used Car Week 2018 at the Westin Kierland Resort and Spa in Scottsdale, Ariz. One session begins at 10:45 a.m. and the other at 11:45 p.m.
McCarty and Gerdes will introduce the Location Services senior leadership team, and they will also provide a high-level overview of Location Services national strategy and product offerings, which include auto loan refinance, skip-tracing, license plate recognition, recovery, locksmith services, transportation, remarketing, account administration, title processing and product cancellations. Andy Bluhm and David Heller from Delaware Street Capital also will attend and be present to answer questions.